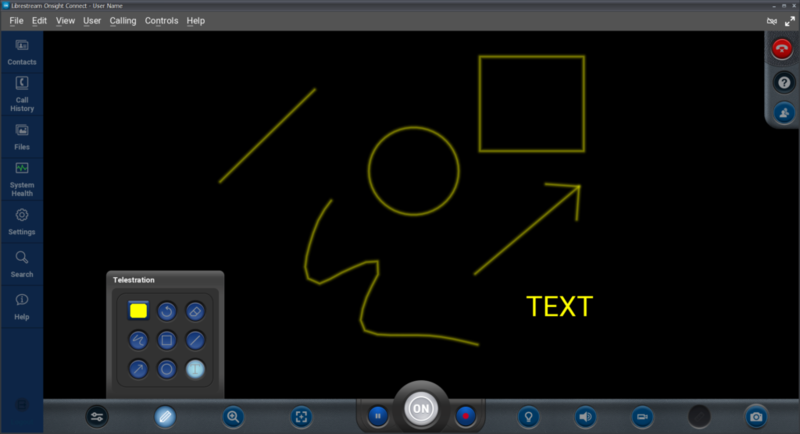 New advanced telestration tools for Onsight Version 9 and above enable users to draw a square, line, arrow, or circle onscreen in addition to the freehand drawing tool. A new text box option is also available to add text to images or video. These advanced telestration options are available on all Onsight Connect platforms as well as the new Onsight Workspace content solution. Within Onsight Connect, the telestration options are available on the main menu bar for quick retrieval. The freehand option is the default setting. 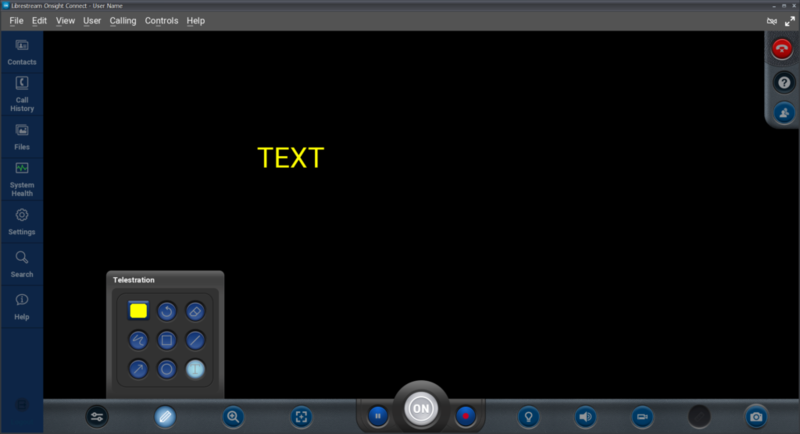 Using the text box option (‘T’), users can type text on live or previously recorded Onsight sessions and images for future reference. Users can select one of the shapes such as an arrow, circle or rectangle to draw a shape onscreen. If you are interested in this new capability, please contact your Librestream Account Manager for more details. Written by Kevin Friday, Sr Technical Specialist at Librestream Technologies Inc.